You may have a bunch of directories to backup. To simplify this process, you can create inclusion and exclusion lists of files and directories that you want to backup. The password is required if you want to store your personal data in a file server afterwards. 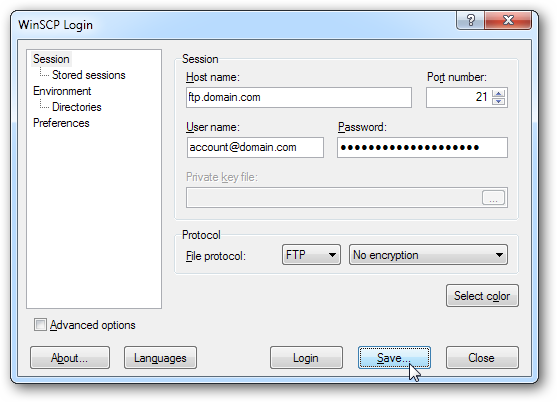 Open WinSCP and create a new session to your web host with your user name and password. You can use FTP or SFTP/SCP if your server supports them. Now you can use WinSCP scripting/console interface to connect to your server and upload backup files in an unattended mode. /TITLE="7-Zip Backup" /MSG="Backup is completed successfully!" 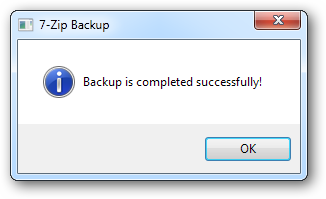 Once you setup a repeatable backup process in Task Scheduler, you are done with it. The sample files are included in the Hstart package (see Examples\Backup).